Add a little bling, and you are good to go! It may seem that there is a travel clothes code: jeans and t-shirts. If this meets your need for comfort, by all means, follow your muse. However, by looking like a tourist, rather than an executive traveling on business, opportunities may be lost as you never know who is sitting behind or in front of you. You may have missed a career opportunity because you adopted the holiday travel look, rather than the “traveling executive” persona. And, if someone from your office, or a client is meeting you at the airport, your first appearance is likely to be the lasting impression. You can look and feel like a c-suite executive when accessories are gorgeous and sophisticated but not flamboyant. The goal is to have staff and colleagues admire your persona and not call attention to the bracelet or brooch – but truth be told, every item you are wearing, from sunglasses to shoes, will be inventoried and recorded. Rumor suggests that jewelry has gone out of fashion. On the contrary, the jewelry industry is expanding with annual sales over $174 billion (148 billion Euros), with expected growth to exceed $293 billion (250 billion Euros) by 2020. At the moment, the jewelry industry is considered “local,” with the 10 largest jewelry groups controlling 12 percent of the market. Cartier and Tiffany & Co. are among the 100 leading brands while International competitors include Christ (Germany), and Chow Tai Fook (China). It is likely that the major brands will scoop up the smaller operations just like Swatch purchased Harry Winston (the luxury retail division sold for $750 million plus the assumption of up to $250 pro forma net debt). It is interesting to note that the “newly rich” are eager to purchase branded jewelry to highlight their recently acquired wealth and status, while “old money” continues to prefer heirloom and estate jewelry. Consumers with new wealth from emerging markets find that brands offer trust and are visible signs of their coveted lifestyle. Young consumers are also brand conscious and trend toward brand acquisitions. The trust in brands appears to be a carry-over from purchases of high-end apparel and leather goods such as Dior, Hermes and Louis Vuitton, and we are likely to see these enterprises start or expand their product line to includes jewels and gems. While there is likely to be a small increase of high-end jewelry purchased online, it is expected that the largest growth in sales will come from brick/mortar stores that are perceived to have a reliability factor not available online. There is a significant degree of personal involvement in jewelry purchases and consumers want to touch and feel the product – a crucial factor in high-end jewelry purchases. On the other hand, fashion jewelry is likely to grow 10-15 percent through online sales by 2020. Paola De Luca of Trendvision, finds that the midult woman (35-60; essentially Generation X female born between 1960 and 1980), has spending power and this market segment has been neglected. This group of women has money, a basic wardrobe and is now interested in a collector piece (or 2) and willing to spend for it. 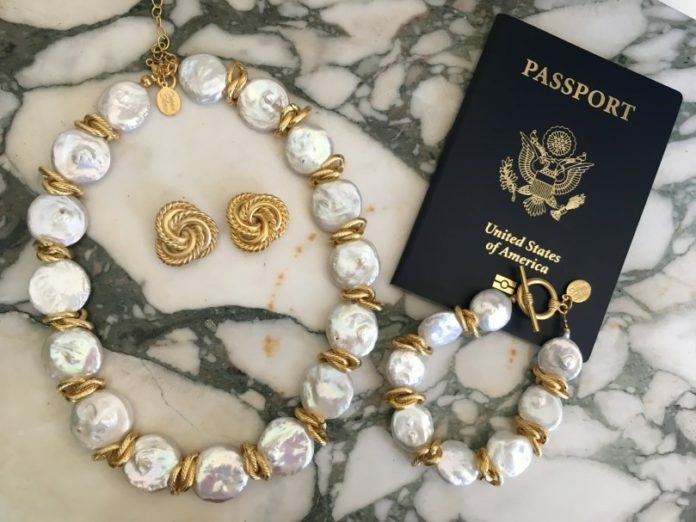 The midult woman is a key market for jewelry sales according to Amanda Gizzi, Jewelers of America’s director of public relations and events, “She has been in the work force for over 15 years and is established in her career. She makes her own money and isn’t afraid to spend some of it on herself.” The midult woman is likely to have grown up with parents who loved jewelry and passed that passion on to their children. If the jewelry industry treats this female customer well, she will pass her love on to her children, according to Gizzi. Rebecca Traister in All Single Ladies: Unmarried Women and the Rise of an Independent Nation (2016), finds that “…single, childless, non-cohabitating women over the age of twenty-seven are spending more per capita than any other category of women on dining out, rent or mortgage, furnishings, recreation, entertainment and apparel: $50 billion a year on food, $22 billion on entertainment and $18 billion on cars” (2012 study). With the right approach, these women could be adding jewelry to their purchases. Women are not waiting for a man to buy them jewelry, they buy what they want and like, whenever they wish (with no strings attached). Forbes.com found that women control $20 trillion in annual consumer spending globally and as they are transforming the marketplace, this could easily include jewelry purchases. American Express and the Harrison Group found that 25 percent of women in households with a least $100,000 of discretionary income had purchased jewelry for themselves, not just for an event. High-end jewelers might think about introducing new product lines at affordable prices to tempt younger or less affluent consumers to the idea of purchasing investment-grade jewelry. As an alternative, high-end jewelers may prefer to remain exclusive and cater exclusively to the top market tier, communicating that message through marketing and advertising, enhancing the in-store experience and adding unique customer services. Traditional jewelry stores lack color and are not customer friendly. Entering a jewelry store can be very intimidating – especially if the consumer is not well-versed in buying gold and gems. There is also an absence of styles at the different price points that the majority of self-purchasing women want to buy. Unfortunately, the industry continues to ignore the need for consumer education and appears committed to making jewelry shopping as daunting and chilling as possible. 1. Quality is the Top Priority. A high-end, authentic piece may be more expensive at the front-end; however, it will look better, shine brighter and add luster to your wardrobe as well as provide self-assurance. Remember that you get what you pay for. 2. Divide Jewelry into Two Files. In one file place the casual, costume pieces that you wear when you are on a date or on dress-down Fridays. The second file holds the pieces that make a statement and send the message that you are an executive with good taste. 3. Build a Collection…slowly. Be cautious and careful. If you know gemologists, engage their expertise as you start your collection. Having an expert at your elbow will be comforting and informative. Start the collection with classic stud earrings, a simple necklace or bracelet, a good watch, and perhaps a daytime ring with the focus on quality and not quantity. 4. Craft Your Personal Style. Discovering your signature style takes time. With the help of a fashion stylist or a very good friend, review your current jewelry collection, select favorite pieces and envision them as part of a larger statement. 6. When a Bit More is OK. If the business dinner invitation says, Formal Attire, feel comfortable in wearing the shiny dangling earrings with the long black evening gown. It the invite is to cocktails after the tennis tournament, revert back to small studs and leave the diamonds at home. 7. Never Let the Jewels Determine Conduct. If your soul screams pink or aqua, wear the necklace or bracelet when the travel destination or office event permits a bit of freedom and creativity. Whatever jewelry and colors selected, the pieces should never look like you picked them up at a street fair. If your charm bracelet clangs every time you move your hand, this might not be appropriate piece for the Board of Directors meeting in London. 8. Trends. It is ok to mix gold and silver, layer the necklaces and bracelets…just make sure that you are wearing quality – in moderation. I recently attended the New York Antique Jewelry & Watch Show at the Metropolitan Pavilion and suggest this curated selection for consideration. Incredibly beautiful options included heritage brands from Cartier, David Webb, Van Cleef & Arpels, Patek Philippe, Rolex and Bulgari. Other pieces represented the Edwardian style through to Art Deco. Paul Fisher, NYC. This jeweler has been operating since the end of the 19th century. The company focuses on fine estate jewelry, gemstones and natural pearls. Robb Report finds the company among the world’s preeminent estate-jewelry and gemstone traders. Offices in New York, London, Geneva, and representatives in Paris and Hong Kong. Douglas M. Liebman. Scottsdale, Arizona. With over 14 years of experience, the organization buys and sells fine jewelry, watches, silver, diamonds, gemstones and other collectibles. The enterprise does not advertise and works entirely on referrals. Liebman is a GIA Graduate Gemologist and active in the international estate jewelry industry since 1981. Formerly Jewelry Director of Garrett Galleries, he was involved in over 100 auctions. Hays Worthington Fine and Estate Jewelry. New York. The company is owned by sisters Claudia Di Fabrizio, and Sarah Lee Martin. The family has been involved in the jewelry business for over 3 generations. The company is named after their paternal grandmother, Julia Hays Worthington. The mission of the sisters is to provide jewelry that transcends fashion itself in order to help clients acquire a collection that brings beauty, joy and elegance for a lifetime and beyond. La Galerie Parisienne. Paris, France. Emmanuelle Chassard is the Director of the Galerie, a design and jewelry enterprise in the Seventh Arrondissement of Paris and she is an expert in the designs of Rene Boivin. D. Tenenbaum. San Francisco, California. Started in 1923, Tenenbaum specializes in estate jewelry and pearls and is a specialist in Asian art and jade. The gray necklace is designed using Tahitian cultured pearls and ruby beads. The necklace is valued at $2700. The white pearl necklace is sourced from oysters and each pearl is weighed and graded. The piece is valued at $30.000. Branded Luggage Unlimited. Marco Astrologo. Certified dealer of authentic Louis Vuitton and Goyard steamer trunks, suitcases, and briefcases. In business for over 25 years, this is an important resource for vintage branded carryalls. For additional information, visit appraisersassociation.org or accreditedgemologists.org.